The UK is home to some beautiful, yet surprising wildlife. From, bottlenose dolphins to sand lizards and puffins, locating these rare creatures is the perfect way for animal lovers and adventurers alike to spend their holiday in Britain. Be prepared to hike along cliffs, trek through sand dunes and venture out to sea – it’s all part of the fun! We have put together a video to help you uncover some of the UK’s rarest wildlife. Fluffy little Grey Seal pups can be spotted during the breeding season from late November to early January near Langstone Harbour, Hayling Island. Around the harbour perimeter you might be luckily enough to see some seal pups, however, they are likelier to be seen during good weather conditions with a sunny sky and calm winds. 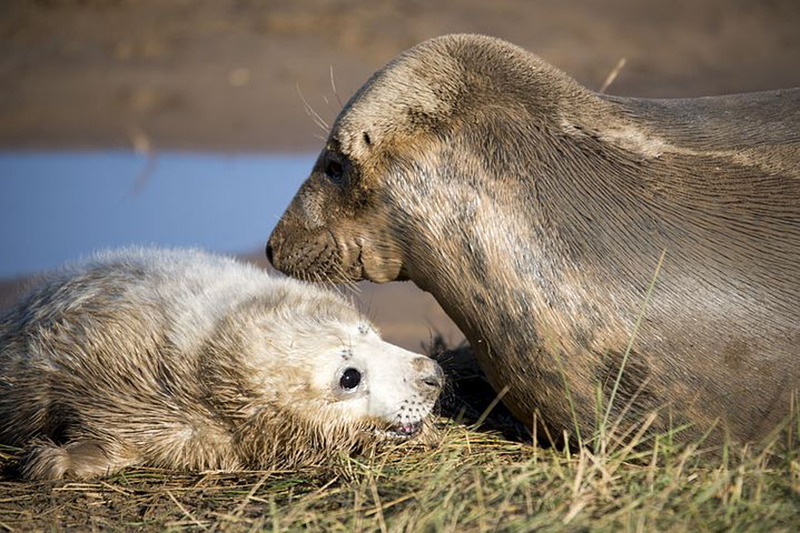 As pups are born in the winter months, they are perfectly adapted to the colder waters and even have an extra layer of blubber to keep them warm. Be sure to wrap up if you’re going during winter! If you plan on visiting Langstone Harbour for seal spotting, the UK Government have produced a Code of Conduct for Solent Seals, which can be found here, and asks you keep at a safe distance for your wellbeing as well as the seals. Our Hayling Island Holiday Park is conveniently located nearby should you wish to stay a little longer in the area. 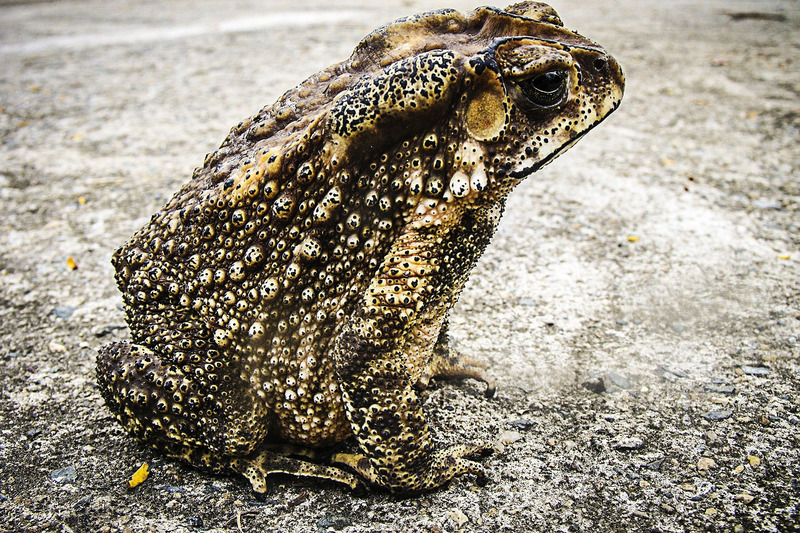 Appearing from March to September, natterjack toads are an endangered species that can be found in shallow pools; especially near the Sefton coast in Merseyside. Often confined to coastal and sandy areas, natterjack toads are most likely to be seen on warm but cloudy and damp nights. As they are nocturnal, it is recommended to arrive before darkness falls and wait quietly to increase your chances: you’re more likely to hear the male’s rasping call than see them initially. Finding their tadpoles can be difficult as they develop quickly – the young toadlets have usually left the pools by late summer. 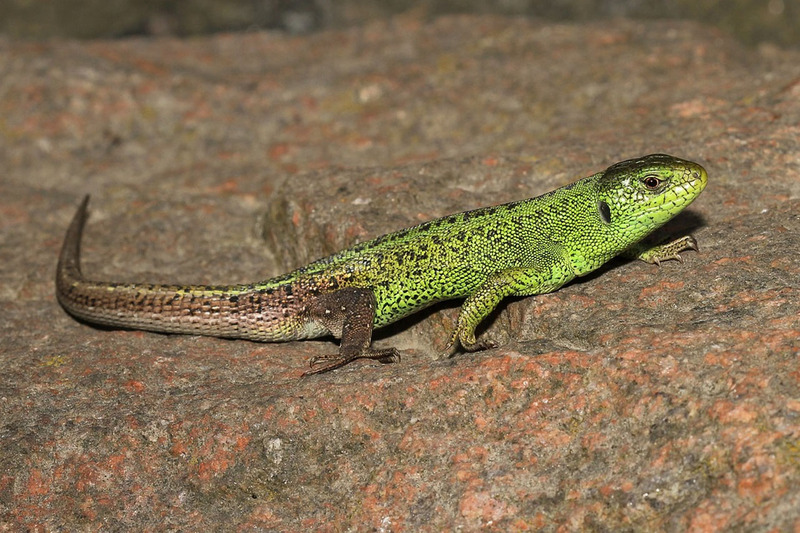 Also spotted in coastal sand dunes between March and September, sand lizards are one of the UK’s rarest reptiles. They are the only UK native lizard to lay eggs, which normally hatch between August and September, and burrow as deep as one metre underground. So we recommend staying at New Forest Holiday Park, while visiting their known location in Hampshire. 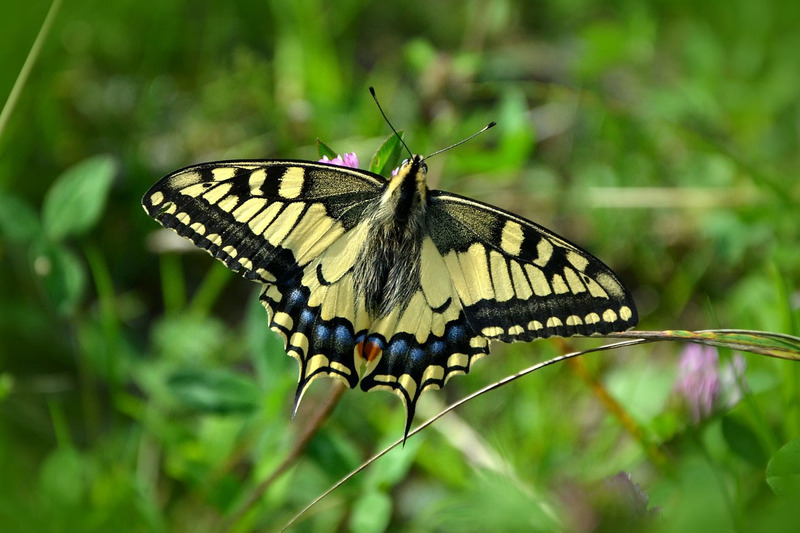 Distinctive due to their size, Swallowtail butterflies appear during the summer months from May to July in the picturesque Norfolk Broads. Famous for its network of lakes and rivers, the Broads are the perfect way to spend a few days searching for Swallowtail butterflies. Although difficult to spot, they are definitely worth the wait and are most likely to appear during a windless day, particularly around the Hickling and Ranworth Broads. In Norfolk, Swallowtail butterflies lay their eggs on milk parsley, as this is the caterpillar’s sole food source, so keep an eye out for these on your journey. For those out late, why not keep an eye out for female glow worms lighting up to attract a mate? They are mainly found in Bystock Pools, in areas such as Exmouth, and are actually considered to be beetles. Adults can only be spotted in June and July and if you are extremely lucky, you may get to see their eggs glow in the dark night, however they are much harder to spot. 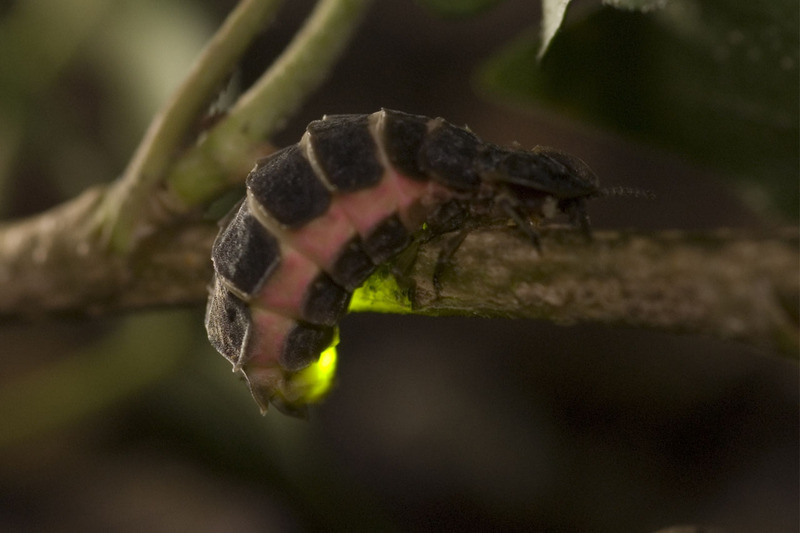 Top tip: if you wait beside a glowing female, you could see a male glow worm land nearby. Make sure you bring plenty of blankets, food and a torch for glow worm spotting – don’t worry, they’re not sensitive to light. There are two types of squirrel in the UK, however the number of grey squirrels massively outweigh the reds, making them harder to spot. Although they can be seen all year round, most sightings happen during the autumn months, but due to the high population of red squirrels on the Isle of Wight, you will certainly spot one at any time of the year, and they are most active during the morning, late afternoon and evening. 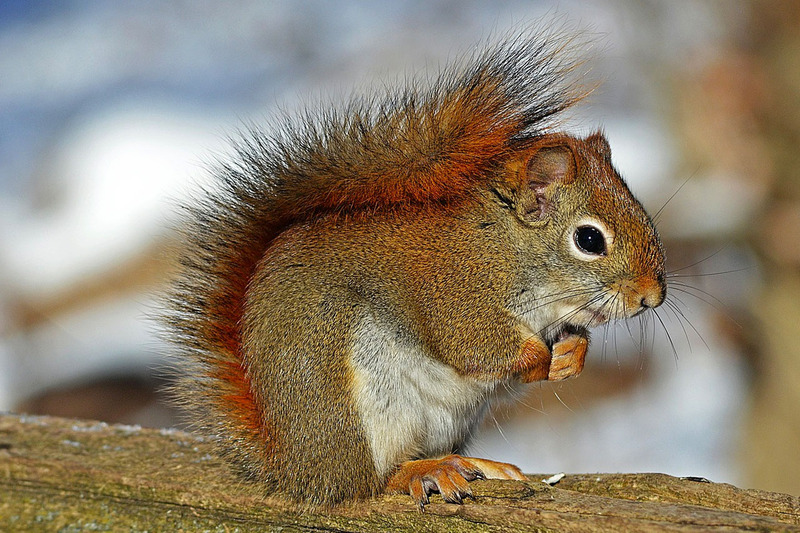 You can increase your chances of a squirrel sighting by taking the Red Squirrel Cycle Trail. The route in it’s entirety is 32 miles but thankfully you can pick up the trail at various points, including from Shanklin Chine, which runs alongside the coast and is also a great place to spot the red squirrel. As the Isle of Wight requires a ferry ride, why not stay a little longer and explore the rest of the island? Our Isle of Wight Holiday Park has extensive family accommodation to act as both a base and an all-inclusive resort for your break. Northern Gannets are large sea birds that gather on cliffs, such as the Bempton Cliffs reserve on the Yorkshire coast. 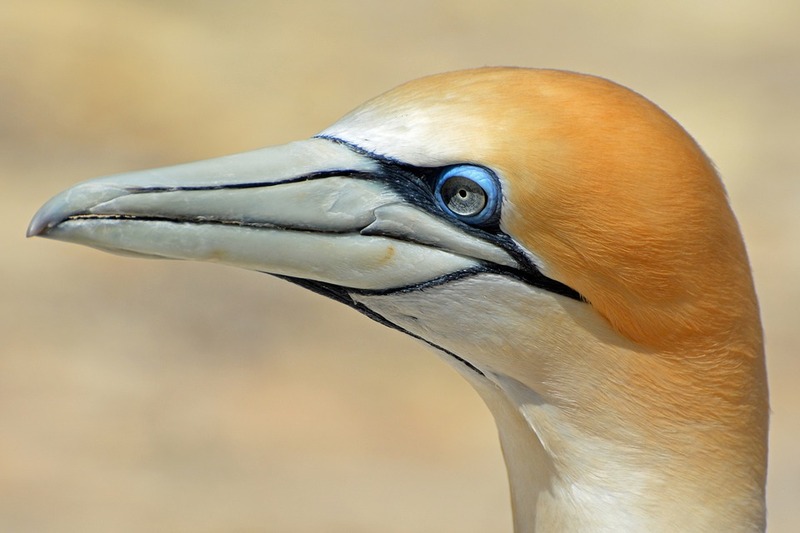 Noticeably different to any of the seagull breeds because of their black and white bodies, Northern Gannets appear between January and August. They are larger than the gulls, but give a whole new meaning to speedy, so keep your eyes peeled as they move very quickly. If you would like to stroll along the Bempton Cliffs, there are guided walks, picnic areas and even a binocular hire facility is available to help you get a closer look at the Gannets. 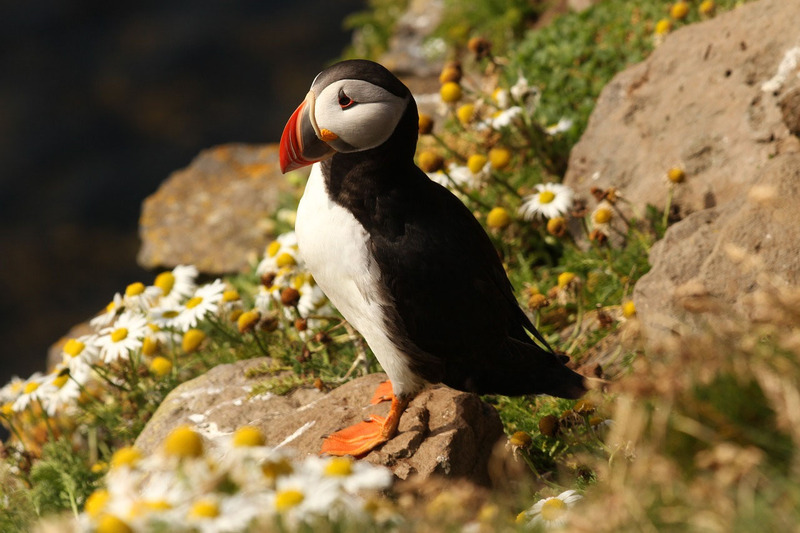 From March to August, Puffins can be spotted on Skomer Island in Pembrokeshire. They are unmistakable birds, with their unique curved beak and markings; they are thought to be one of the country’s favourite animals. The best time to see them is normally in June and July; as Skomer is the one site in the UK where their numbers are increasing you stand a great chance of being able to see the parents returning from the sea with a beakful of sand eels for their young. Planning a visit to Pembrokeshire for puffin spotting? Dave Astins – founder of West Coast Birdwatching runs regular, guided bird watching walks on Skomer Island. Many people go abroad to swim with dolphins, but in Barmouth Bay in Wales, dolphins can be seen between April and November. 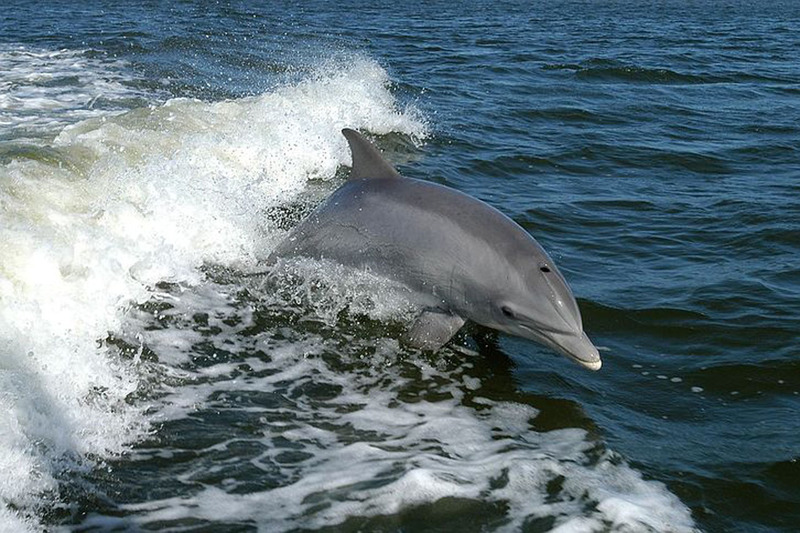 Bottlenose dolphins are known for their elegant movement through the water, something you wouldn’t want to miss. It is possible to spot them from the beach, but why not increase your chances by taking a boat trip out into the bay? You can catch a boat trip from Barmouth Bay for either a one or two-hour trip. Our Barmouth Bay is nestled between the mountains and the beautiful beaches of Cardigan Bay. 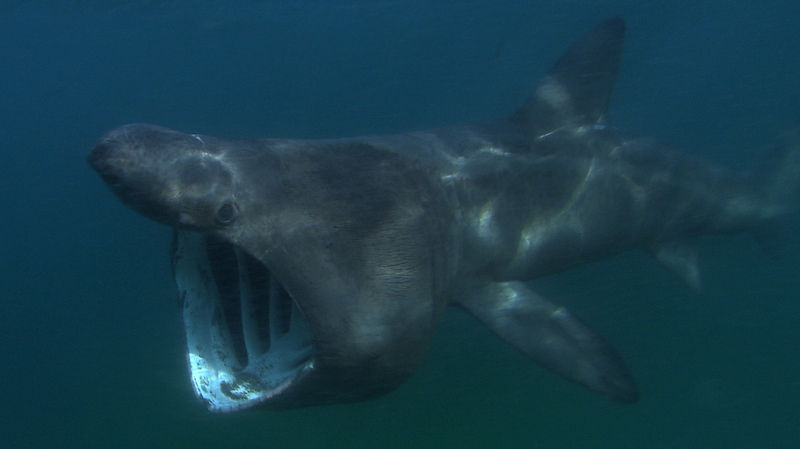 If you are going to Lundy Island (off North Devon) between May and October, watch out for Basking Sharks. They are the second largest living shark, after the whale shark and are most likely to be spotted on a sunny day when the ocean is calm. June is normally the best month to see them and you can increase your chances by hopping onboard a boat trip in the early morning. Lundy Island is considered a hotspot for divers and is a Statutory Marine Nature Reserve, it even supplies air and changing facilities – you can find more about diving in the area here. Spotting rare wildlife can provide fantastic memories for everyone, but it is important to remember these animals need protection. At Away Resorts we are conscious of their wellbeing and all our holiday parks put procedures in place for their safety. Janis Keaveny, Holiday Sales Advisor at Tattershall Lakes, explains: “We have speed limits all over the Park to try and give the many road crossers a chance against a car tyre. We do not allow barbed hooks to be used by fishermen/women. We have no barbed wire fencing on the Park for both human and animal safety. When birds are nesting our Touring Manager, Dave, builds rustic (using fallen tree branches) fences around the nest to protect the eggs and young birds”. If you want to spot the rare wildlife mentioned it will take time and patience, so why not book a break at the nearest Away Resorts and be ready to watch the animals emerge. All resorts are tailored to ensure that the creatures are looked after and are located near prime wildlife watching sites. Start your Away Resorts Wildlife Adventure! When your kids are young enough, you have unique opportunities to make lifelong memories.